I tried real hard not to write about the Hippie scene and the Haight-Ashbury during that time. Frankly, I'm bored with it. Instead, I will share what it was like BEFORE the summer-of-love-haight-ashbury. We moved 2 years before the Hippie invasion. They now say, in those earlier years, before the hippie invasion, elements of the expanding Beat movement were incorporated into the hippie and larger counterculture movements. - We lived in a Victorian house, that had 3 levels. We lived on the bottom level. The house was built before the 1906 earthquake and fire. It had been a hotel. We had a horse stable in the backyard and a beatnik on the 3rd level. He would bang on his drums at night and sleep all day. The Haight, as we all called it, used to have mom and pop stores on every corner. We would load up a shopping cart with all our pop bottles and cash them in for candy. We were city kids - and a fun time playing in the city, was ringing or buzzing all the doors to be buzzed in. We used to hang out by the streetcar tunnel, sit on top and spit on the street cars as they went in. We did a lot of people watching too. One lady, we used to call the Spit Lady. (I guess we were all into spit back then) She looked like the bad witch on the Wizard of Oz and she walked fast and would spit. She almost got my mom, one time. I guess she was chewing tobacco. My mom didn't work, as many of the other mothers. There was a Laundromat at the corner, where my school was and on Mondays, my mom and all the neighbor moms would do their laundry and we would stop by the Laundromat to meet up with our moms. I remember, I could hear them all laughing and talking while folding clothes and the little ones, were in those wooden playpens - saggy diapers, and snot on their bibs. It was the unofficial Moms day off. Mom used to bowl during the week and a few times a month, she and a few other moms, would attend a Giants baseball game for Lady's Day. They got in free! I loved how we used to hang our clothes out on a line, and it had those pulleys - and the vision of clothes hanging from all those pulleys, was a site to see. 3 floors of laundry, blowing in the wind. To this day, I still love hanging my laundry on a clothes line. In the summer, the smell of roof tar - I used to walk Haight St all the way, to St Agnus Church for Brownies. I was taught back then, not to talk to strangers and not to get into any car. It was like 6 city blocks from my house. I used to take a city bus by myself. 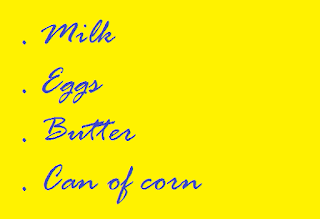 I even would go to the store and memorize what I was to get. 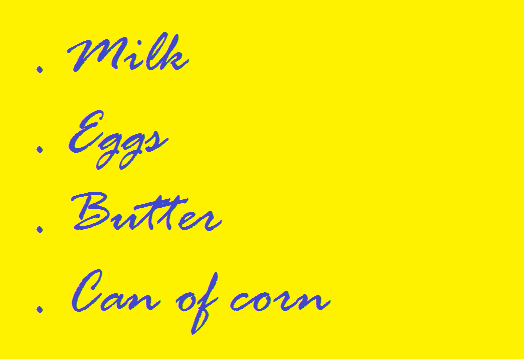 Milk, butter, eggs and a can of corn. Then one day, Dad came home and we started looking at new homes out of the city in neat little communities, with neat little houses. I hated leaving my friends and the first year in my new hometown, I hated it. I thought it was boring. Over time, many of them succumbed to drugs and died - others died from the aids epidemic of the 70's and 80's before there was a name to how they were dying. I'd say most still live in and around there. They are a different bunch, to say the least. Those were the days. Now they arrest Moms for letting their kids play in the yard unsupervised. I never understood the hippie thing, though I have a friend who was into all sorts of crap in the 60's. Maybe why she is so screwed up today. You are so right. Many friends from back then are pretty screwed up today. Wow, I see the start of a great memoir. 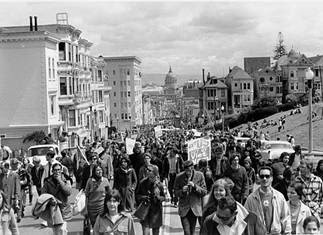 You never read about the city life of SF before the hippie invasion. Hippies are a mixed bag for me. We had a pop festival nearby in 1969. Some sat in the back of the church making fun of us. That's when I knew, as cool as I wanted to be, the hippie movement didn't want me. lol And neither did the sororities when I went to college, I wasn't high class enough. Some things work in your favor. Well, city mouse, I enjoyed your memories! I suppose any time a child is happy where they are it is hard to leave.